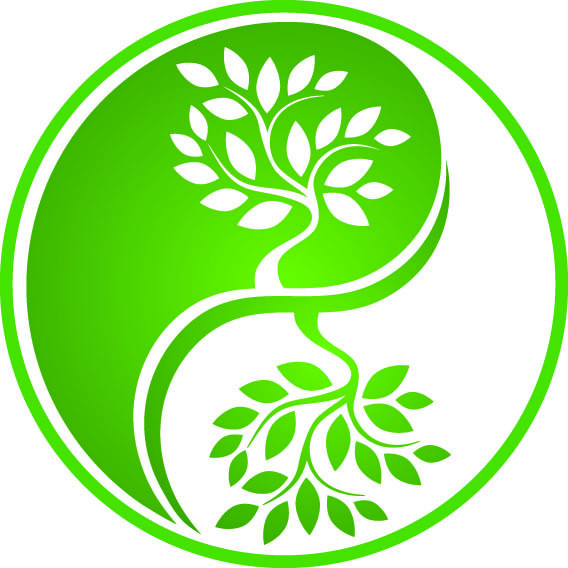 Many women know that acupuncture helps with fertility and conception. Did you also know that acupuncture is used worldwide during pregnancy? You can use acupuncture for specific pregnancy-related conditions, such as high blood pressure or gestational diabetes. You can also use it for pregnancy discomforts that you may think are simply normal and unavoidable, like nausea or back pain. 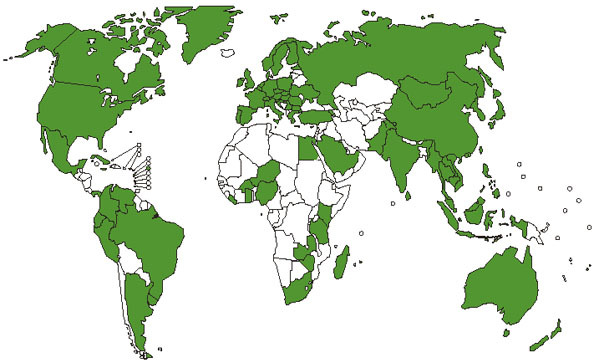 Pregnancy acupuncture is widespread in countries such as Denmark, France, Germany, Switzerland, and the United States. Miriam Lee, an acupuncture-midwife from Hong Kong, was one of the first acupuncturists in California. 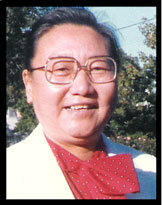 She was instrumental, along with Governor Jerry Brown, in making acupuncture legal in California, in 1975. Miriam trained apprentices in pregnancy acupuncture. 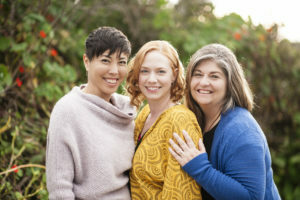 Two of her apprentices became my teachers: Raven Lang, well-known retired acupuncture-midwife, and Holly Guzman, a renowned Santa Cruz acupuncturist and instructor. I had the great fortune to apprentice with Holly. Santa Cruz and Monterey have a rich tradition in midwifery and acupuncture. In part because of my alma mater, Five Branches University (FBU), graduate school for Chinese medicine in Santa Cruz. FBU is well-known for its obstetrics and gynecology department, spearheaded by the late OB/GYN Dr. Sharon Feng. The Monterey Bay Area is fortunate to have a brand new state-of-the-art Birth and Wellness Center. The creation of the dynamic midwife trio The Wifeys, this beautiful and comfortable center is conveniently located at Ryan Ranch. I’m absolutely honored to be their first on-site acupuncturist. Our desire is to make every woman’s pregnancy and birth more comfortable and healthy with the addition of acupuncture. In addition, my primary acupuncture practice remains in downtown Monterey, at 700 Cass Street. The Wifey’s clients, and all of my patients are welcome to see me at either location! The Wifey’s clients get $10 off all appointments with me (Laura). Come try acupuncture to support your fertility, or your four trimesters of pregnancy. You may think of acupuncture as something that is painful. Nothing could be further from the truth when you receive acupuncture with me. I use tiny, high quality, disposable Japanese needles – they are about the width of a hair. The insertion is painless. The effect is immediate, profound relaxation. It’s a delicious altered state that cannot be compared to anything else. Women melt into the table and then float off at the end. When women ask me this question, I know it can be a long conversation. I answer differently, depending on if I use the traditional Chinese explanation, with words such as yin, yang, blood and qi. Or, I sometimes use a more contemporary Western explanation, with words such as hormones and neurotransmitters. I like to answer the question using your Chinese medical diagnosis. Therefore, I can explain how your diagnosis matches what I feel in your pulse, what I see in your tongue and face, and what I feel when I palpate your belly. In a nutshell, acupuncture stimulates “points” that have a signaling effect on both your nervous and endocrine system. 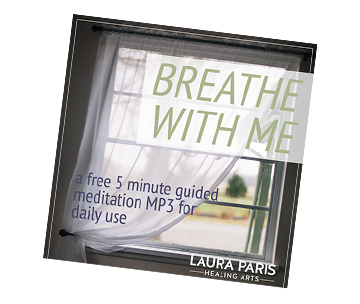 The goal is to help your body (including mind and spirit) to self-regulate. Nothing is injected, it’s your own body doing its job. The acupuncture point Pericardium 6 (“inner gate”) is famous for decreasing pregnancy nausea and motion sickness. 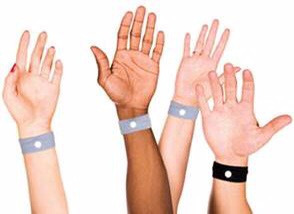 You may have seen magnetic motion sickness bracelets. The magnet is meant to stimulate Pericardium 6. With pregnancy nausea, this point is commonly used. Another example is Spleen 6 (“three yin meeting”). Spleen 6 actually increases blood flow to the uterus. This point is traditionally avoided during pregnancy, however it is used near your due date for labor encouragement. 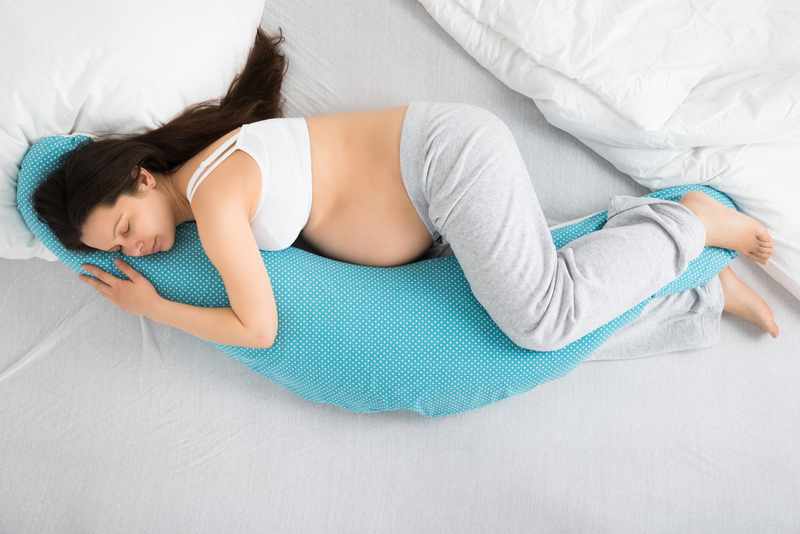 Research shows it eases labor pain and shortens the duration of labor. One beautiful thing about this medicine is that while we focus on helping you feel better with symptoms that bother you, we always look for underlying root causes (patterns of disharmony or imbalance) that create your symptoms. An old saying in Chinese medicine is to treat the root and the branches. The root is the source, the branches are the symptoms. It’s highly individualized. A branch symptom for one woman may not have the same root pattern or diagnosis as another woman. Back to the example of pregnancy nausea: for one woman, the root cause may be heat in the stomach that rises up to cause nausea and reflux. For another woman, it may be her liver processing excessive hormones and “attacking” the digestive system, causing nausea. These are just two example diagnoses for one symptom. There are always a myriad of diagnoses and root causes to a symptom. You may also want to read Pregnancy Acupuncture: Your Four Trimesters, and Prepare for Fertility and Conception with Functional Medicine. Sign up on my list for my news, blogs, access to my dispensary, and a 5-minute breathing meditation. Please sign up on The Wifey’s list for news about the Monterey Birth and Wellness Center. Check out acupuncture services for all women!